Yay! I finally joined The Sketchbook Project. 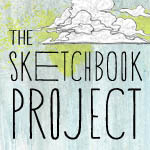 Sketchbooks traveling around the country? Or maybe they are going by car. I hope they can afford the gas! has their sketchbooks mostly filled by now. and I am anxiously awaiting the mail lady. I have some motivation I'm going to try it! Tam is such a great teacher and so inspiring! Check her out at willowing.org. from Suzi Blu's class. I admit I've been neglecting this. directions to go, I am stumped. "Why don't you finish me?" I'll work on her this week for sure! I like her better with floaty hair. Oh my ...these are all such lovelies...beautiful work..inspiring creative and magical as always!! Shine on! So so beautiful work for your sketchbook. Your mermaid is so pretty. Have fun with the sketchbook project...the book is so cute. Your work always makes me smile. Great stuff! 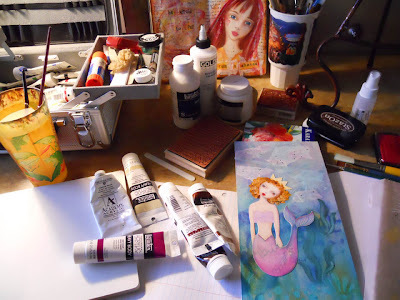 Love the colors, and the sketchbook project. I got a kick out of your traveling sketchbook description and illustration! Your mermaid is lovely! You have so much talent! travelling sketchbooks is a lovely idea-I only wish I could draw! I love your willowing art work, the colours are amazing. Oh you are working on such lovely stuff all at once..and I know what you mean about choices and ways to go- sometimes you just get a sort of sensory overload and have to stop awhile. You are the second WOYWWer I've visited today to be partaking of Art HEart and Healng - really looking forward to seeing your work unfold. cute mermaid. Thanks for the Looky See. 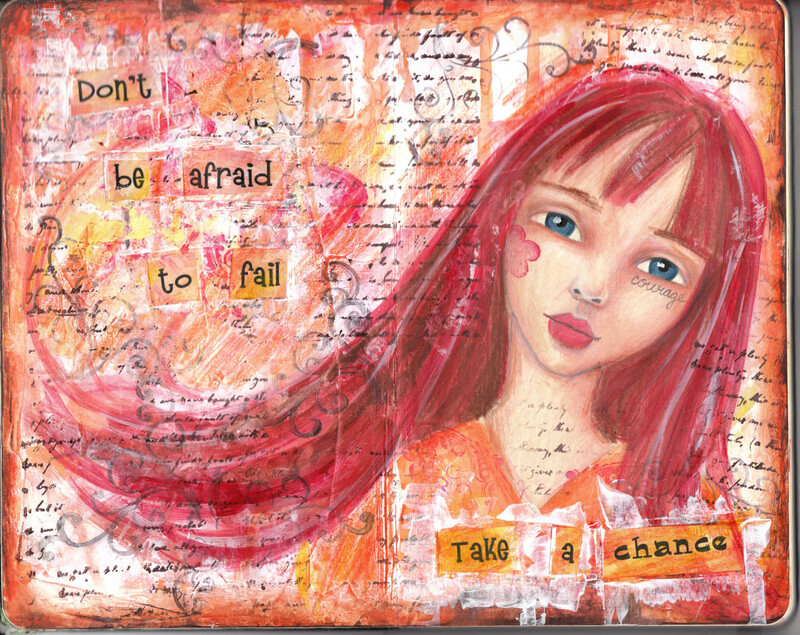 Amazing artwork, love the journal spread - fab colours. Oh I can't wait- you have so many wonderful projects in the air! 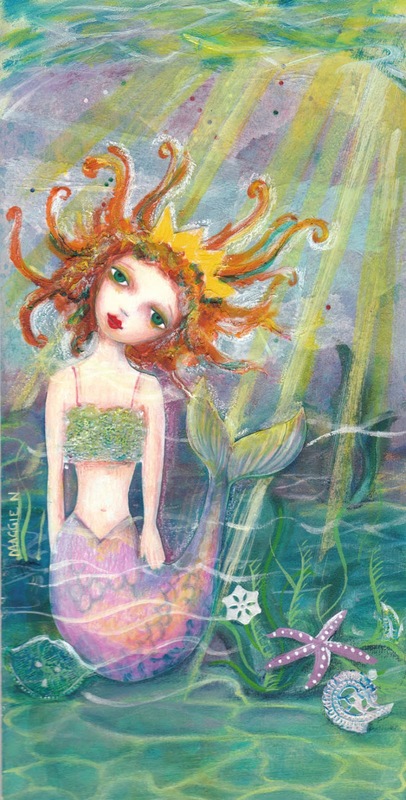 I LOVE the mermaid, I am looking forward to seeing how you will finish her and your journal spread is wonderful- her face is a perfect illustration for the words you used.....like I said, I can't wait to see what's in the works for you! Love the journals and the colours you're using, great stuff. The poor mermaid really does seem to be imploring you to finish her! I am excited to have you on the SBP...your art inspires me so much...sometimes I have to look away so I won't copy you! Do you watch Dancing with the Stars? On our UK version we also have Len and Bruno Torlionionioio. You know how Bruno always gushes and pouts when he likes someone. Well, I'm doing that now - Oohhhh Magggieeee - they are like a bowl of ripe fruit ready for plucking! Fab! 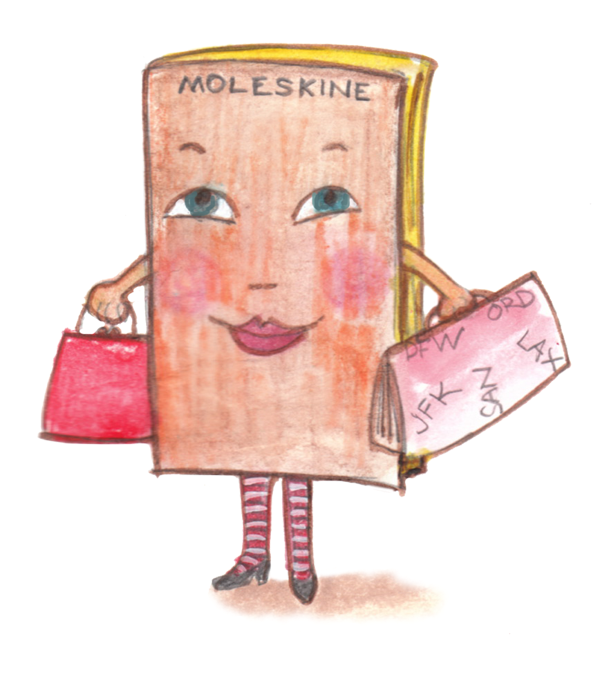 Your travelling sketchbooks looks lovely, what a great idea! Fabulous art! Happy WOYWW!